Okay, so today’s the day we get confirmation of our UTMB slots … I’m only checking my email every 5 minutes … the suspense is killing me already! Didn’t do so well getting my runs in this week. An energy-sapping combination of back-to-back shows, a nasty cold, jet lag and near freezing temperatures have successfully scuppered my training. 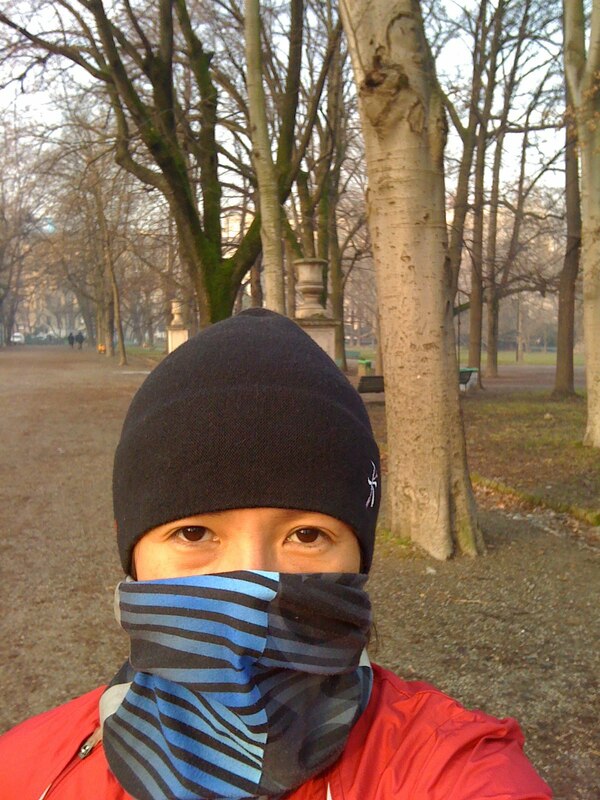 Managed a run this morning in an optimistic 3 degrees celsius outside .. had to call it a day after measly 5 miles as I got so cold I thought my ears would fall off … even despite dressing like a ninja! Our schedule in Paris doesn’t look as bad as Milan so here’s hoping training will get back on track tomorrow. Also missed the inaugural Vibram HK100 Ultra this weekend just gone. Well done to everyone who attempted it, and I’m looking forward to the race reports!